An inactive corporation might still be subject to the state business department's reporting requirements and earn penalties for not complying. Laws vary by state. For example, in New Mexico, an inactive profit corporation must file a corporate report showing its business activity with the state every other year, whereas an inactive nonprofit corporation is required to file such a report each year. New Mexico charges a penalty for a late report, which is $200 at the time of publication. Kentucky, however, requires a report from all registered corporations by the last day of June every year. If a corporation fails to file the report, it may be subject to administrative dissolution by the Kentucky Secretary of State's office and will be in bad standing with the office. A corporation with no activity for the year might still have to pay taxes to the state. For example, in North Carolina, an inactive corporation has to file a return each year and pay a franchise tax of $35 until the corporation is formally dissolved; in California, the minimum franchise tax is $800 a year. If the corporation's owners don't file a return because the corporation is inactive, tax penalties for late filling and not paying any outstanding taxes may apply. Penalties for not filing are usually charged for each month the return is late. The IRS requires a federal tax return from an existing corporation, even if the business had no activity for the year. Penalties for failing to file or pay taxes won't apply if the corporation doesn't owe taxes, unless it's an S corporation. The IRS has a special failure-to-file penalty for S corporations that miss the tax year filing deadline for returns. The penalty is $85 multiplied by the number of shareholders the S corporation has. An inactive corporation may formally dissolve to avoid penalties for not meeting state reporting requirements or filling tax returns. Dissolution procedures vary by state but commonly require the corporation to settle its business affairs, pay any state taxes due and file final reports and dissolution forms. The forms a corporation must submit to the IRS when ending a corporation depend on the corporation type. The corporation must deposit any employee taxes, file a final return and pay its federal taxes in full. 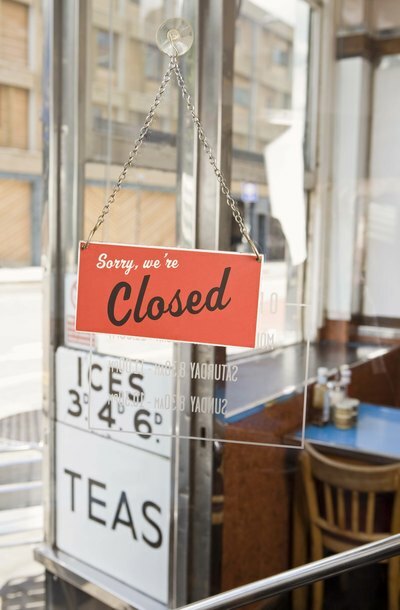 A corporation can't cancel its Employer Identification Number, but the IRS can close the related business account if the corporation is dissolving. A corporation is a business entity that is legally distinct from its shareholders. This means that, in addition to the shareholders not being personally responsible for the business’s liabilities, the corporation is a separate taxable entity. When a corporation decides to shut down, it must file several documents with the IRS and settle any final tax bills before it can dissolve.